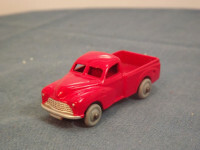 This is the Dinky Dublo 065 Morris Pickup in red. 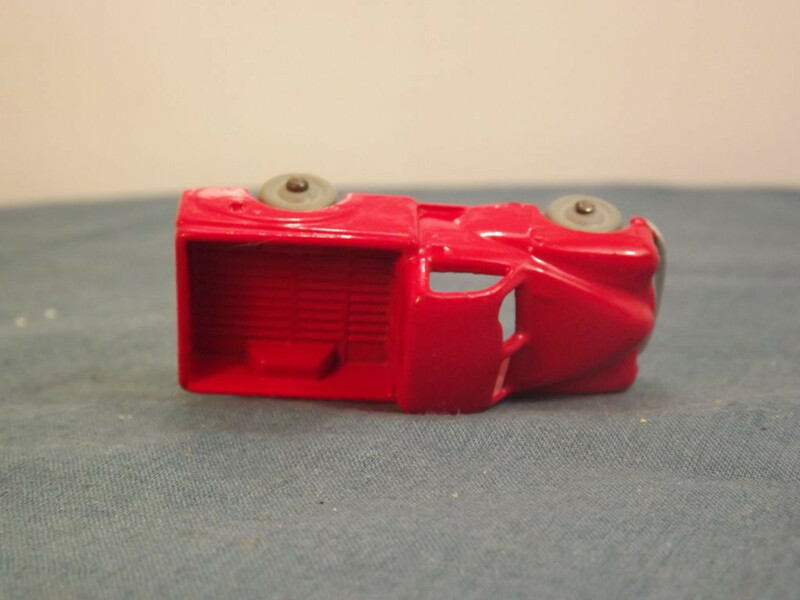 This model is a one piece casting with all detail such as bumper, number plate, grille, head lights, doors, door handles, body lines, petrol cap, and rear bed, etc. cast into the metal. 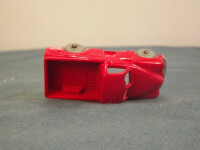 There is no glazing or "base" to the model and the only detailing is to the front bumper, number plate, grille, and head lights which have been painted silver. On the under-side, the model carries the manufacturer's mark "Dublo, Dinky, Toys" cast on three lines under the rear deck area, "Meccano": under the bonnet, and "Made In, England" cast under the engine block on two lines of text. The original domed axles pass through the metal casting and carry solid grey plastic wheels (no tread). 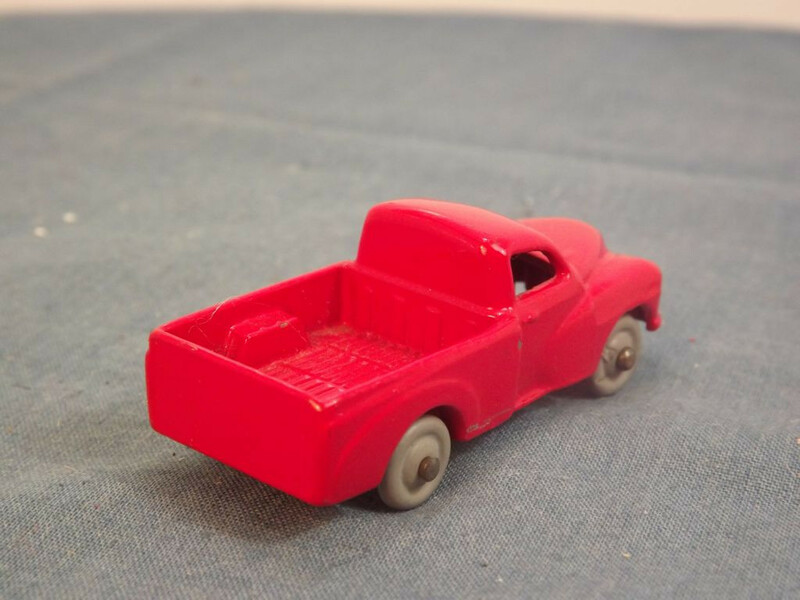 Issued between 1957 and 1960, this item was part of the Dinky Dublo range. 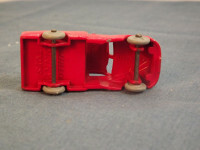 The Dublo range was scaled to accompany 1:76 or OO scale railway layout accessories.